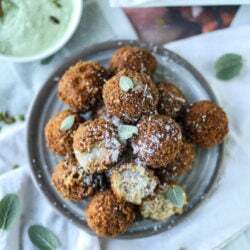 Bacon Butternut Arancini with Pumpkin Seed Pesto Dip. 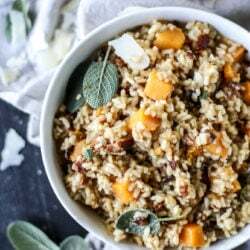 Easy Bacon Butternut Squash Risotto. 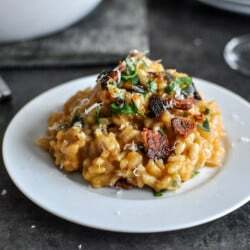 Late Summer Risotto with Roasted Tomatoes, Corn and Figs. 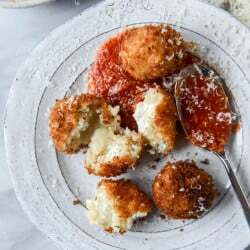 Fontina, Roasted Garlic and Goat Cheese Arancini. 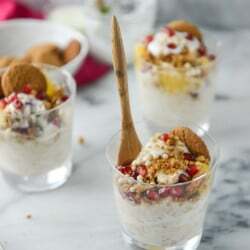 Crispy Goat Cheese Risotto Cakes with Vanilla Salted Winter Pears. Beer Risotto with Mushroom Garlic Chicken. Red Wine + Goat Cheese Risotto with Caramelized Mushrooms.